Serious lovers of wine take note! 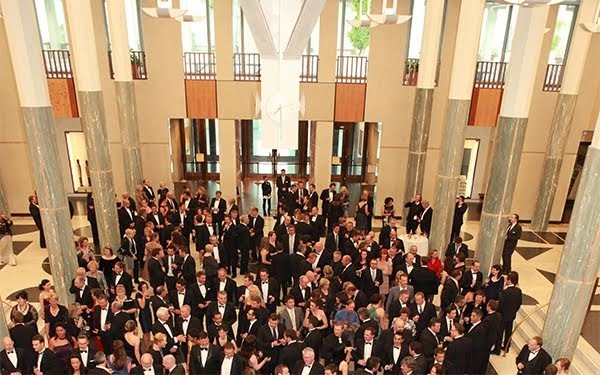 Dan Murphy’s National Wine Show of Australia™ Gala Presentation Dinner is being held in The Great Hall of Parliament House on Thursday the 21st of November. 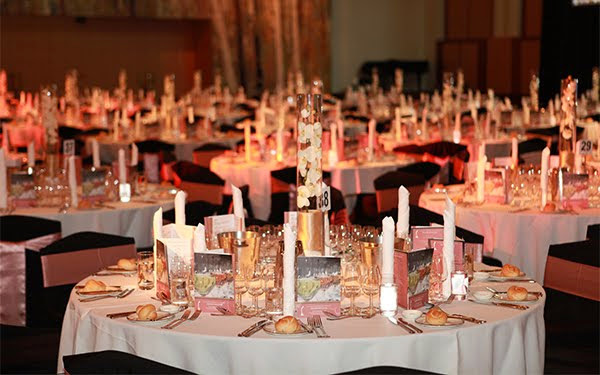 The Dan Murphy’s National Wine Show of Australia™ Gala Presentation Dinner to be held on Thursday, 21 November 2013 in The Great Hall, Parliament House, is one of the most anticipated dates on the Australian wine show calendar and the Canberra social scene. The black tie event commences with pre-dinner drinks in the stunning Marble Foyer and then moves into The Great Hall for a night filled with divine wines, an exceptional four course meal and fantastic entertainment. Wine industry personality and media commentator, Stuart Gregor, will be the Master of Ceremonies for the dinner, with entertainment provided by The Swinging’ Martinis. The trophy presentations will be conducted by James Halliday AM with many of the best winemakers in the country present to accept their awards. All wines served at the dinner are gold medal or trophy-winning wines. This is Australia’s premier wine show with entries in the premium and single vineyard classes only accepted if they have previously been awarded a medal at a capital city or approved regional show; the wines are the best in the country. Judging commences for the 2013 show on 11 November with incumbent Chairman of Judges, Stephen Pannell, supported by a team of renowned show judges including returning international judge, David Jean of Sweden’s Systembolaget, Australian Master of Wine, David LeMire and Clare Valley winemaker Kerri Thompson. Bookings for tickets to the dinner are now open, and we have a special offer for Riot Act readers. The first 5 people to book a full table of 8 tickets who mention The Riot Act will receive a 10% discount off all 8 tickets. RSVP by 11 November 2013. I reckon it’d be worthwhile putting a ticket or table price in any of the article, press-release and/or website. If I have to call them up or email them, then it’s obviously too much.